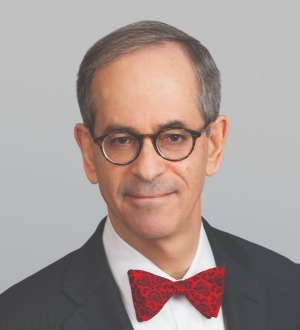 Martin S. Himeles, Jr., managing partner of Zuckerman Spaeder LLP’s Baltimore office, has more than 35 years of experience addressing complex legal problems through rigorous analysis, sound litigation judgment, and effective advocacy. His courtroom record includes trials of a broad range of civil and criminal matters, as a federal prosecutor and a private practitioner representing corporations and individuals. He has had only one loss at trial, more than 20 years ago, and has a strong track record of success in federal and state appellate courts as well. Mr. Himeles’ practice encompasses a diverse mix of litigation of commercial origin. He has represented businesses and individuals in criminal investigations and at trial and has won acquittals in federal criminal trials on behalf of clients charged with offenses such as fraudulently misrepresenting product test results to obtain government approval; wire and mail fraud; and federal campaign contribution offenses. He has led independent investigations for committees of the boards of directors of public companies that have faced grand jury investigations and other allegations of wrongdoing. He has represented major health care institutions and other health care clients in government investigations and civl litigation. On the civil side, he has represented a range of business entities, professionals, and other individuals and has won cases as both plaintiff and defendant. Mr. Himeles’ successes in appellate matters have given rise to often-cited decisions. For these accomplishments, Mr. Himeles has been recognized with numerous honors. He is a fellow of the American College of Trial Lawyers; has been listed in The Best Lawyers in America since 2001 in diverse practice areas, including at present bet-the- company litigation, commercial litigation, white-collar criminal defense, and securities litigation; and is also listed in Chambers USA: America’s Leading Lawyers for Business as one of Maryland’s top 16 commercial litigators, and as a “Litigation Star” in the Benchmark Litigation guide. He has also been profiled in the Baltimore Business Journal’s “Who’s Who in Law,” among other publications. Before joining Zuckerman Spaeder in 1990, Mr. Himeles was an Assistant U.S. Attorney in Baltimore, where he specialized in white collar matters. He headed the investigation of Dutch, German, and American businessmen which led to charges of selling a mustard gas precursor to Iraq, and he represented the government in coram nobis proceedings brought by former Maryland Gov. Marvin Mandel after the U.S. Supreme Court’s landmark decision in McNally v. United States. Mr. Himeles also served as a law clerk for the Hon. Francis D. Murnaghan Jr., of the U.S. Court of Appeals for the Fourth Circuit. Currently co-chair of the Health Care Fraud Substantive Committee of the American Bar Association (ABA) White Collar Crime Committee and co-chair of the Equal Justice Council of Maryland Legal Aid, Mr. Himeles is a past president of the Maryland Chapter of the Federal Bar Association and has spoken and written about the federal criminal justice system, about health care fraud and abuse, and about other legal matters. He serves on the Board of Governors and holds other leadership positions with the the Associated: Jewish Community Federation of Baltimore and has held leadership positions with the Baltimore Chapter of the American Jewish Committee, the Baltimore Jewish Council, and other organizations focused on Jewish concerns.